This spawned numerous tongue-in-cheek memes that offered up such real and wacky toss-ups as Luke Skywalker and The Muppets and Scooby Doo and The Harlem Globetrotters, just to name but a few. However, Nintendo has truly claimed that honour with Super Smash Bros. Ultimate, the fifth instalment in the venerable crossover fighting game series. This time around, developer Sora Ltd. (with support once again from Bandai Namco) has brought back every playable character in Super Smash Bros. history, along with 11 newcomers, resulting in an incredible roster of 74 fighters. In addition to Nintendo staples like Mario, Link and Pikachu, the developers have done a wonderful job including a diverse lineup of third-party icons, ranging from returning fighters Mega Man, Sonic the Hedgehog and Solid Snake, to newcomers like Ken from Street Fighter and Simon and Richter Belmont of Castlevania fame. Together, these characters will face off in Super Smash Bros.‘ tried-and-true ring out-based combat, which is back and better than ever. Rather than fiddle too much with a good thing, game director Masahiro Sakurai and his teams have instead smartly opted to make small tweaks across the board to create the absolute best experience possible. The most significant gameplay change comes in the form of the revamped air dodge, which offers more directional control than in previous Smash Bros. entries. This seemingly subtle change can dramatically change the flow of a battle by making launching and evading attacks feel satisfyingly smooth and graceful. Complementing the air dodge is a new-and-improved perfect shield maneuver which will reward well-timed guards with a window for quick and deadly counterattacks. Mastering these techniques will come in handy when dealing with the varied hodgepodge of new fighters who each bring their own wildly unique move sets to the battlefield. The Inkling, for example, has to coat the enemy and environment with ink to maximize damage, just as they do in Splatoon. Meanwhile, the vampire-killing Belmonts have some of the best ranged attacks in the game thanks to devastating weapons like the Whip, Cross and Axe — all of which are lovingly pulled right out of classic Castlevania titles. 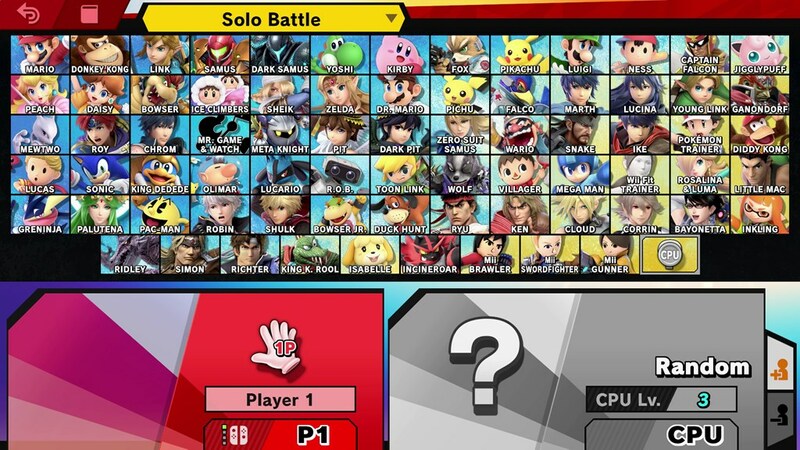 The majority of these characters will need to be unlocked, though, with the main way to do this coming from Ultimate‘s brand new ‘Adventure Mode: World of Light’ singleplayer campaign. With Super Smash Bros. for the Wii U and 3DS eschewing a traditional campaign in favour of the underwhelming board game Smash Tour and dungeon crawler Smash Run, respectively, this makes World of Light the first proper Adventure Mode since Super Smash Bros. Brawl‘s ‘Subspace Emissary’ in 2008. At the time, Subspace was met with a somewhat tepid response. The in-game cinematics featuring a variety of character interactions were undoubtedly charming, but the side-scrolling gameplay was less inspired and blended poorly with the actual combat. Fortunately, that’s no longer an issue in World of Light. 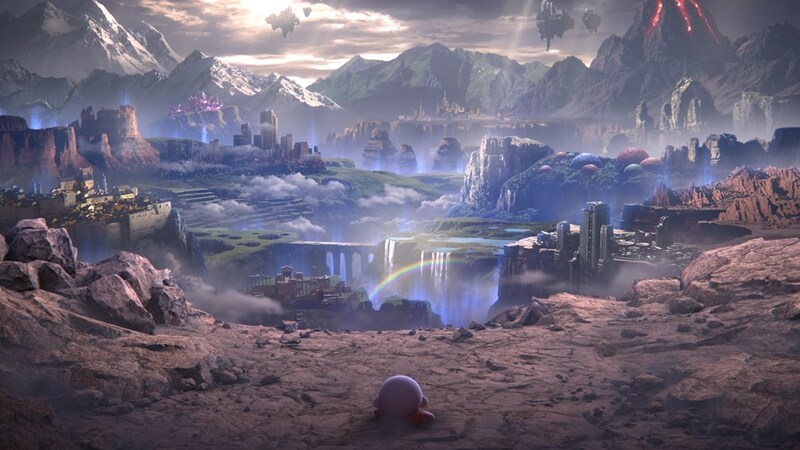 Keeping up with the earlier Infinity War comparison, World of Light features a similar universe-threatening event wherein all of the heroes (save for the ever-adorable Kirby) are wiped out by the villainous Galeem, Lord of Light. As a result, all of the fallen fighters have been replaced with evil puppets that must be defeated in order to be saved and recruited. However, getting to these puppets isn’t exactly easy. 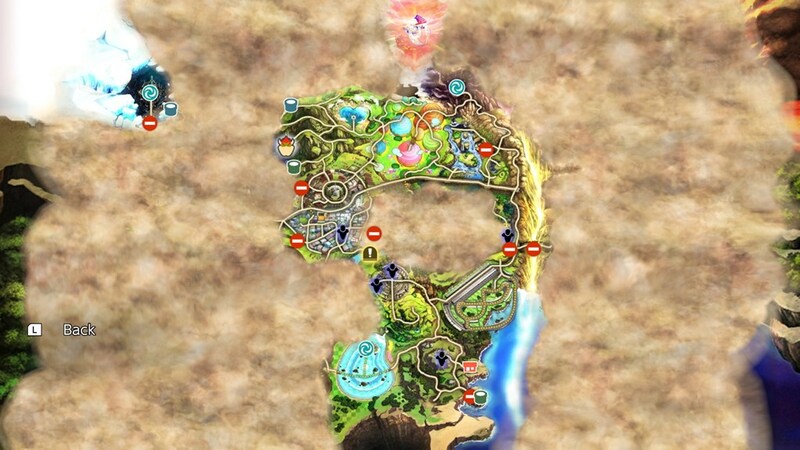 Throughout the surprisingly expansive world map are swarms of Spirits, which replace the collectible Trophies from previous games. Spirits, which are represented by a plethora of crossover characters, can power up fighters with various attributes and abilities. Once defeated, these Spirits can be captured and equipped to your own fighters to offer a suite of customization options. 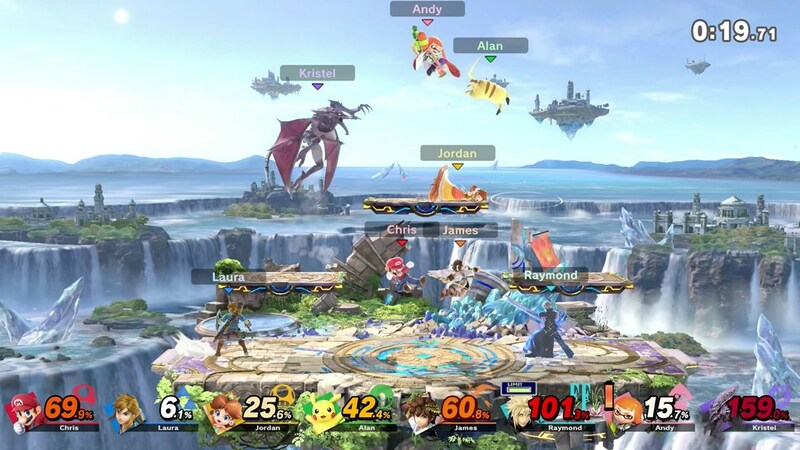 Initially, fans were concerned that Spirits would be an unwelcome complication to the otherwise ‘easy to learn, difficult to master’ beauty of Smash Bros., but I was delighted to find out that they actually bring a great twist to the core gameplay. To start, Spirits are a neat way for Sora to pay homage to all kinds of gaming characters that aren’t otherwise playable, from the higher profile Rayman and Monster Hunter‘s Rathalos to deeper cuts like Mio and Mayu Amakura from survival horror franchise Fatal Frame and Quendan Cheerleaders from Nintendo DS rhythm game Osu! Tatakae! Ouendan. There’s an immense appeal to exploring diverse locales — that are creatively themed around specific games, no less — to collect Spirits hailing from dozens upon dozens of gaming franchises. But Spirits aren’t just there to be fanservice, thanks to all of the gameplay-altering abilities they come packed with. To start, Primary Spirits raise your attack power and can also be equipped with Support Spirits to offer additional skills. For example, New Super Mario Bros‘ Dry Bowser is a Primary Spirit that increases the power of fire attacks, while equipping him with a Great Fairy from The Legend of Zelda can heal you once when you’ve taken a significant amount of damage. Each Spirit is also defined by one of three types — Attack, Grab or Shield — which can give them a leg up on one another in a ‘Rock, Paper, Scissors’ sort of dynamic. 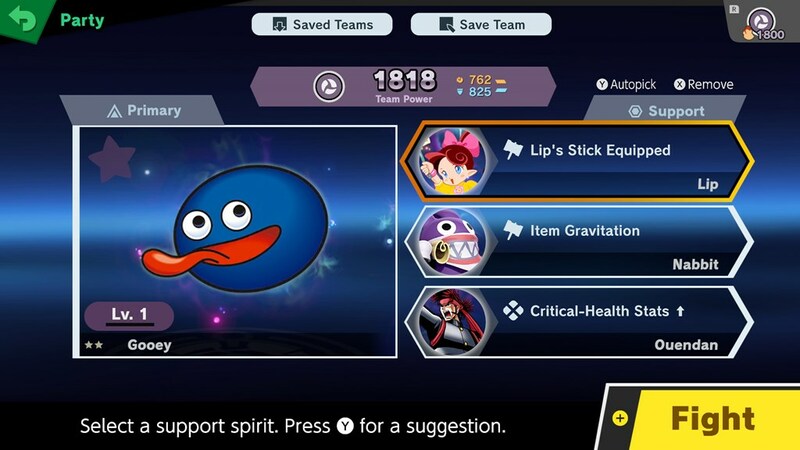 With nearly 1,300 Spirits in total, there are an insane amount of strategic combinations that you can come up with and take into World of Light and other game modes. Sora has also cleverly based each Spirit battle around the character they represent. For example, certain stages may also have hazards on them to further play into the Spirit’s theme, such as Star Fox‘s Falco equipped with Animal Crossing seagull Gulliver to create dangerously high winds that can blow you off your feet. In this case, you’ll need a Support Spirit like Pokémon‘s Latios and Latias to protect you from the gusty environment. Another encounter, meanwhile, could pit you against a Bowser imbued with the Spirit of a Taurus and appropriately tweaked AI that has him rushing from side to side to mimic the bull Pokémon’s charging attacks. All of these gameplay variations ensure that no two battles ever feel the same. 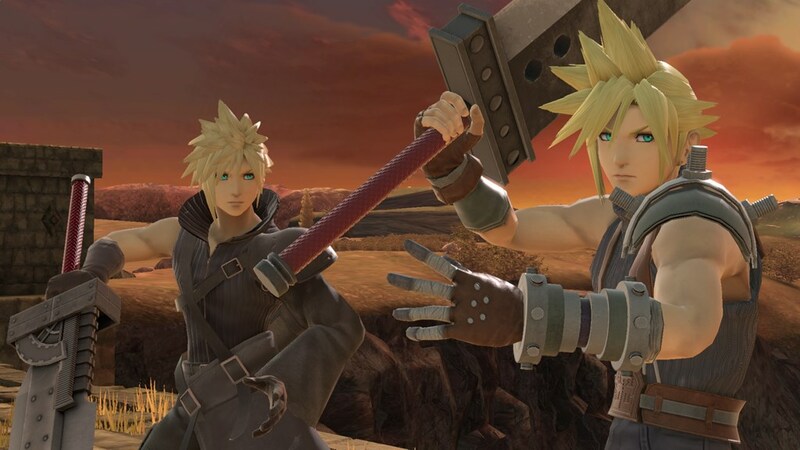 Unfortunately, so many franchises being lovingly represented through Spirits, items, Assist Trophies, music and the like inadvertently makes some of Ultimate‘s omissions feel all the more glaring, particularly with Final Fantasy VII‘s Cloud. While seemingly not Sora’s fault, given the reportedly steep licensing fees from Square Enix, it doesn’t make it any less disappointing that Final Fantasy is the only third-party series with a playable character not to get any new content. For a game all about honouring the past, it’s sad to see Ultimate not recognize such a beloved franchise with more of composer Nobuo Uematsu’s masterful pieces of music or even a few non-Cloud Spirits. As a whole, Ultimate also falters a fair bit in terms of its actual story. Subspace Emissary made up for a basic plot with a steady stream of entertaining scenes between its ragtag group of heroes and villains. In World of Light, though, outside of the compelling opening cinematic, there are practically no other cutscenes that feature the characters engaging with one another. In addition to feeling like a huge missed opportunity to capitalize on Ultimate‘s massive roster, this can also make World of Light’s moment-to-moment gameplay feel like a drag. Without cutscenes interspersed between battles, playing through this mode would occasionally feel tedious, especially since it took me an astonishing 20 hours to fully complete. Thankfully, World of Light largely makes up for these shortcomings through its thrilling sense of adventure and dynamic Spirits-focused combat. 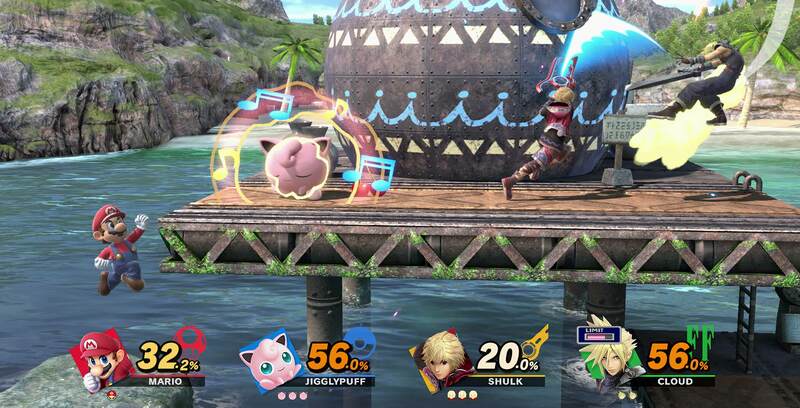 Outside of World of Light, Ultimate features a robust assortment of modes, including Training, regular Smashes, Tournaments and the interesting new ‘Smashdown,’ which forces players to use a different character after each round. Classic Mode is also expanded upon in a number of clever ways from previous games. Here, each character’s run is inspired by a little tidbit from other games they’ve been featured in. Luigi, for instance, squares off against spooky-themed fighters as a homage to the Luigi’s Mansion series. On the other hand, all of Ridley fights will take place on spaceship stages in a nod to his extraterrestrial roots in the Metroid series. This small but fantastic attention to detail goes a long way toward making each character’s Classic Mode experience feel distinct and well-crafted. The biggest question mark when it comes to Super Smash Bros. Ultimate gameplay modes, though, most certainly revolves around its online functionality, given that servers weren’t live during the pre-release period. Previous Smash Bros. games have been hindered by less-than-stellar online connectivity, but here’s hoping that Ultimate‘s online matches — which will be powered by Nintendo’s premium Switch Online service — will be smooth and reliable. It’s absolutely remarkable to look back on how far this franchise has come since 1999’s inaugural title on the Nintendo 64. What began then as a humble gathering of 12 Nintendo fighters has grown into a sprawling 74-character extravaganza representing so many iconic gaming franchises. Because of that, Ultimate manages to both a thoroughly entertaining and content-packed fighter and a magnificent love letter to gaming as a whole. Super Smash Bros. Ultimate will release exclusively on the Switch on December 7th. Nintendo is also currently running a promotion that offers Super Mario enemy Piranha Plant as a free downloadable fighter to anyone who purchases Ultimate and registers their copy online by January 31st, 2019.